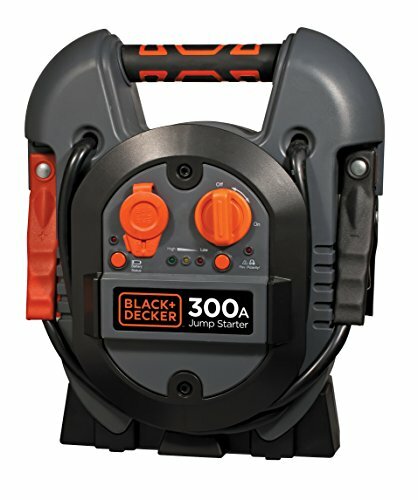 The BLACK+DECKER 300-amp portable jump starter is ideal for jump starting most all v6 engines in cars and light duty trucks. Featuring a visual and audible reverse polarity alarm to warn against improper connection to the battery terminals. The unit has a built in ac charger, that will operate with most all household extension cords. This portable jump starter is also a source of portable power with a 12-volt, and high output USB outlets, it can charge many small electronic devices.